At the SEMA show in Las Vegas last month Roush unveiled a custom 700 horsepower Stage 3 Mustang in conjunction with Ford Racing and Sherwin-Williams. The car was impressive simply sitting on the show floor, boasting a Ford Racing Aluminator engine and Roush’s new Phase 3 supercharger system as well as an eye-catching Sin City Silver and Luminescent Lime paint scheme. 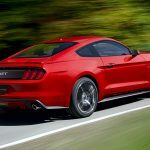 The result is the most powerful Mustang the company has ever produced, and the best part is that both the custom paint (available in a variety of colors) and the Phase 3 supercharger setup will be available as an upgrade on upcoming Roush Mustangs. To give customers an idea of what they’d be in for with the upgrade, Roush has posted a video called “700hp Symphony”. With well placed microphones near the exhaust tips and under the hood, the video shows off the addictive sound of the exhaust note and the supercharger whine under full throttle. Turn up your speakers and have a listen for yourself by clicking the play button below. 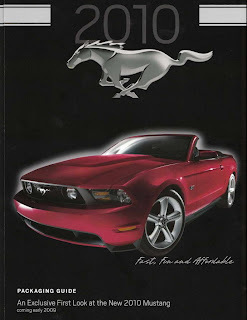 This entry was written by by MustangsDaily (Mustangs Daily) and posted here on Monday, December 10th, 2012 at 10:18 am and is filed under roush mustang, Videos. This article was not written by us, rather gathered using RSS feeds listed here. We take no credit for this article. You can leave a response, or trackback from your own site.